Accompanied by the most experienced pilots, you will be able to fly and feel like a bird. 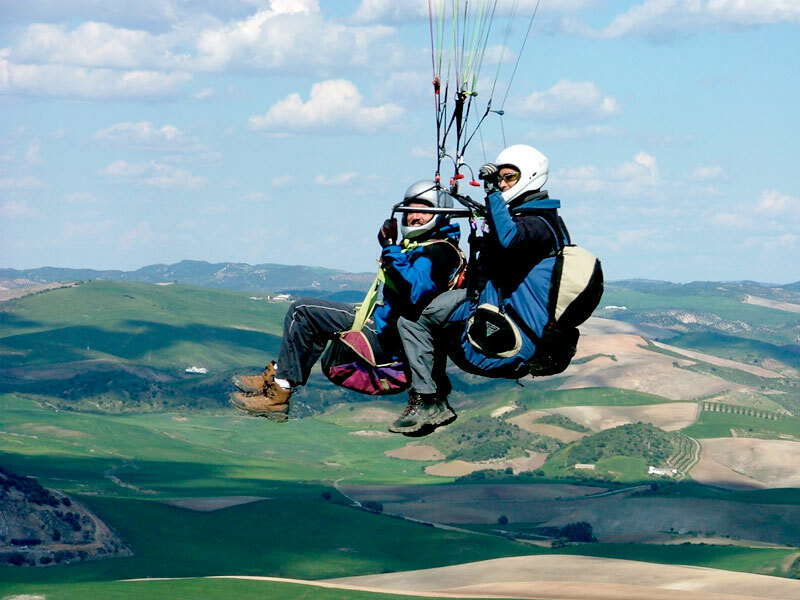 Our operations centre is located in Algodonales, one of the epicentres for paragliding in the south of Spain because of both its ideal flying conditions and its spectacular surroundings. Flights last approximately half an hour and it is one of the most outstanding experiences we can offer. You will also be able record your flight. This is an ideal present to give yourself. We are in partnership with the paragliding and paramotor school Zero Gravity, one of the most outstanding schools in the region offering courses and guides for experienced flyers. Zero Gravity has its offices in our facilities in Algodonales enabling us to share experience and resources and offer an outstanding service and extraordinary adventures with a total guarantee for our clients. Entrance: Between 09:30 and 14:00. Children: Children of all ages can be accommodated. Under 2’s are accommodated in cots free of charge. Under 2’s are accommodated in cots free of charge. Under 4’s are accommodated free of charge. Extra beds and cots are available on request and subject to availability. Groups:Special rates will be applied to groups of more than 14 members. Meeting point Petrol station Repsol. Entrance of Algodonales, Cádiz. Contact us to make your reservation or request information. We organise excursions and activities to suit your needs. Call or write explaining your requirements and we will organise a tailor-made itinerary.